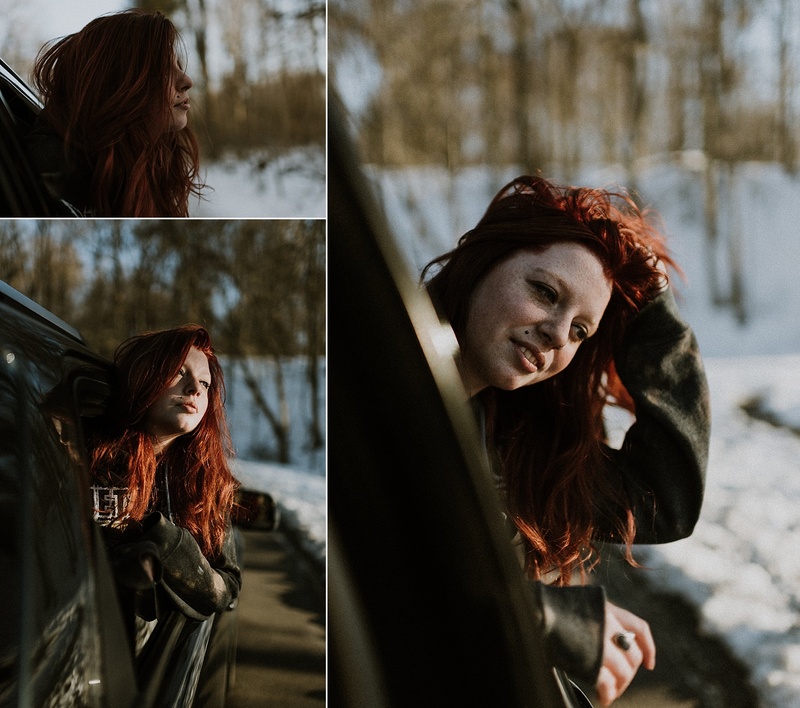 Most kids wake up on the morning of a fresh snow and think “yay, no school!” My mind, on the other hand, immediately goes to the amazing, wintery shots I can get with unexpected snow on a spring day. 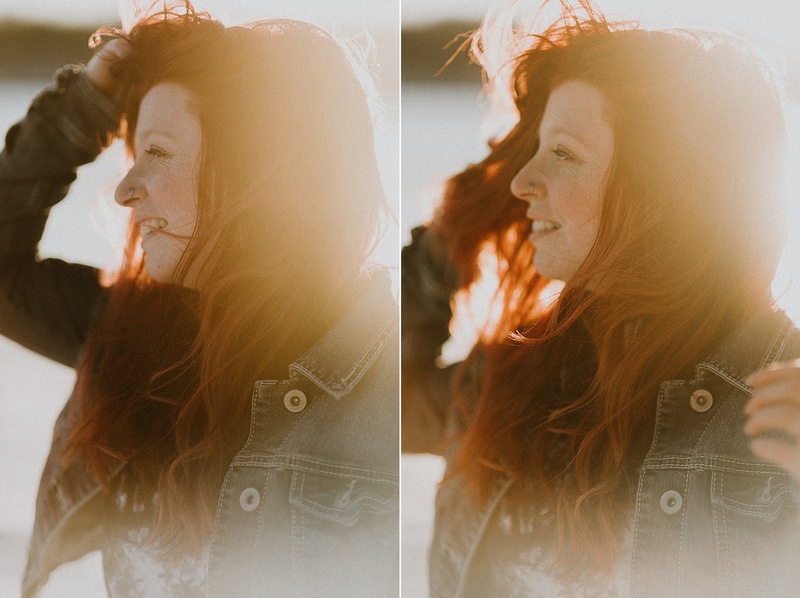 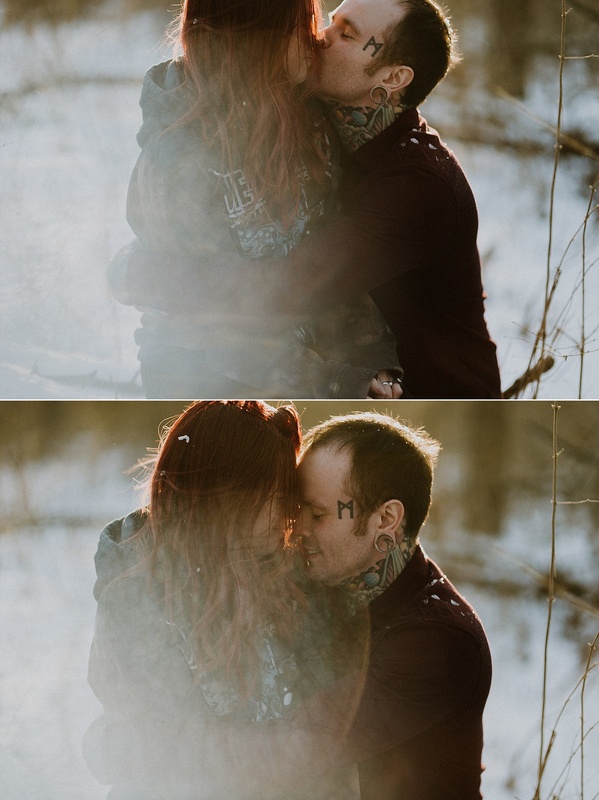 Lucky for me, Lindley and Jacob were also down to brave the cold for a chilly couples session in the woods, so my inner child was reeling with excitement. 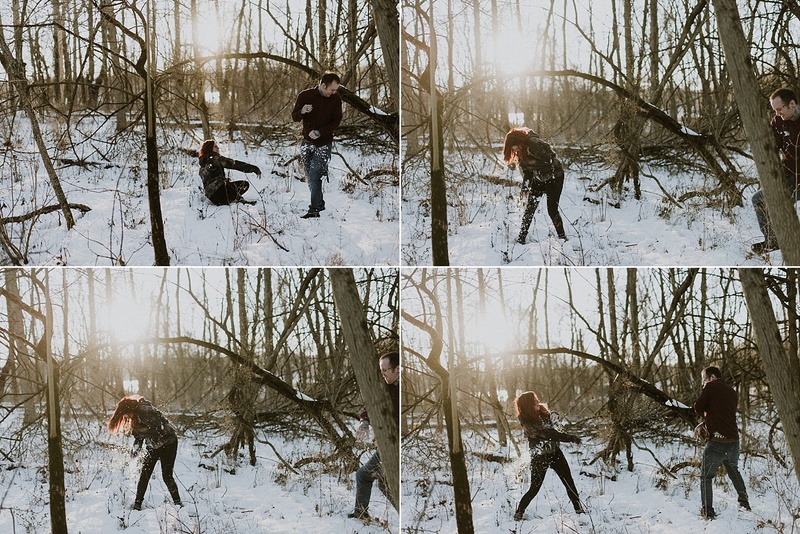 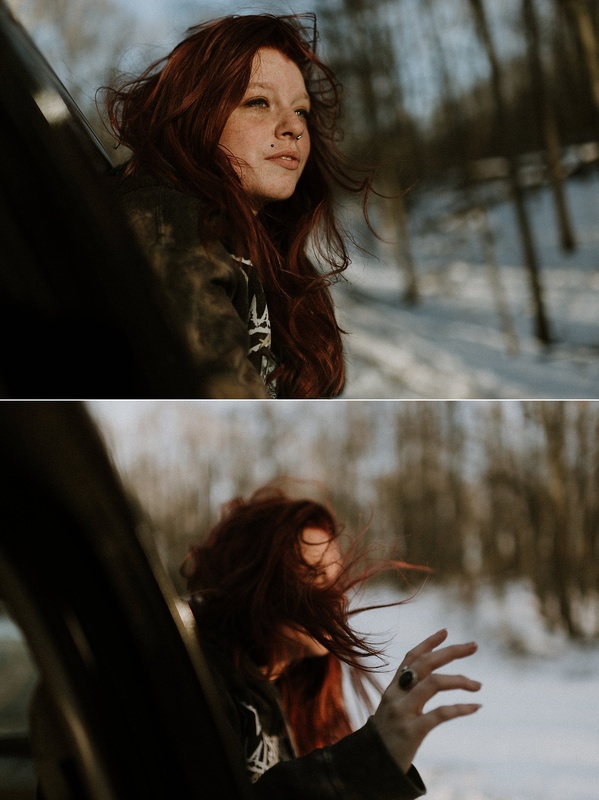 Eagle Creek Park in Indianapolis, Indiana was our location of choice for this fun, outdoor photo shoot in the snow. 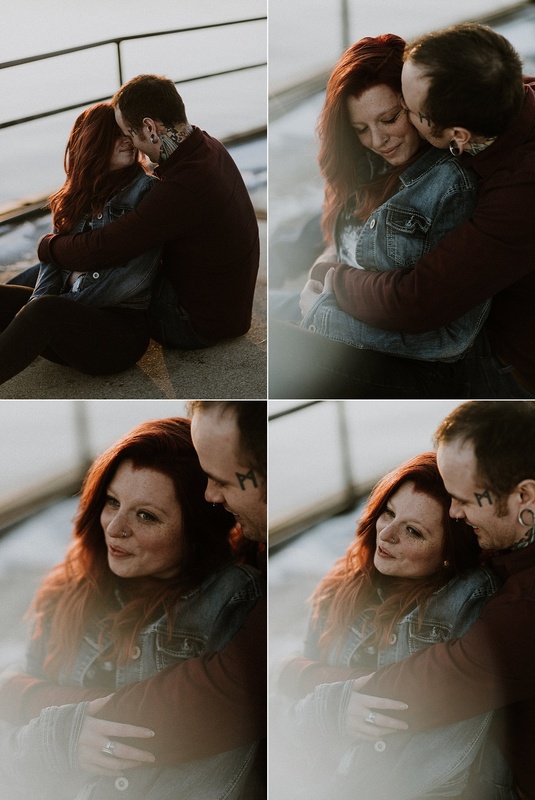 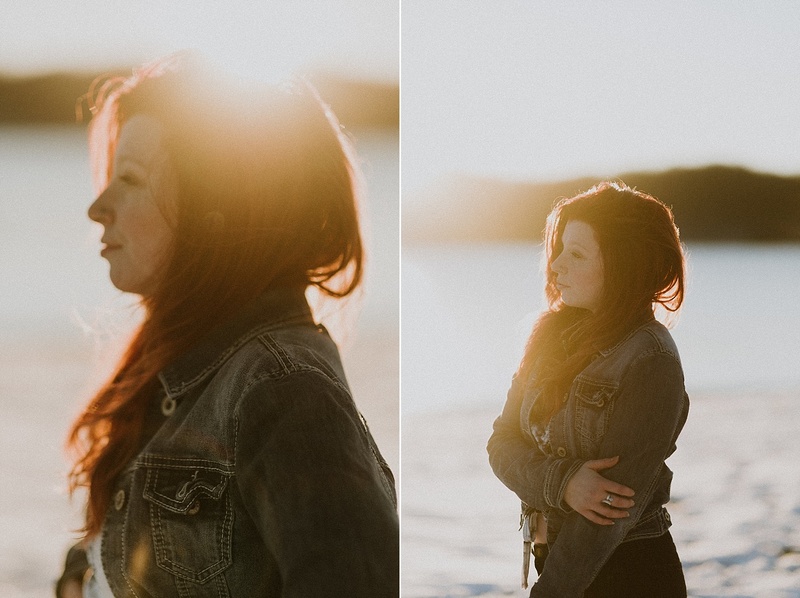 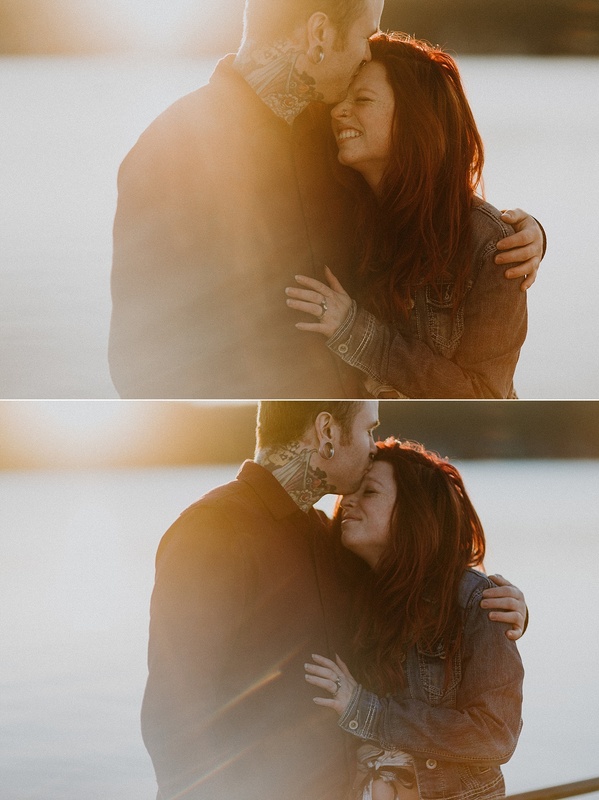 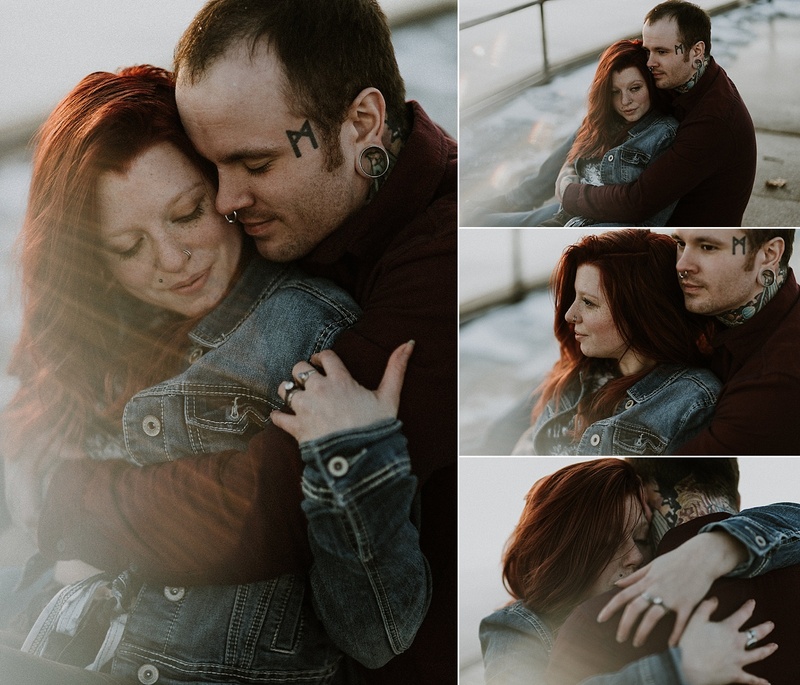 I wanted the session to feel as carefree and lively as the chill in the air, and this spunky couple was incredibly laid back and willing to roll with all of my poses and suggestions. 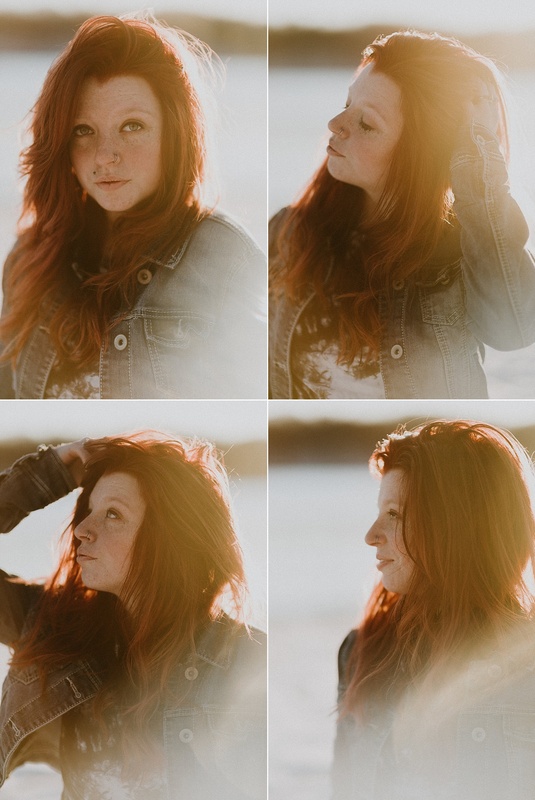 We started off shooting some close-up shots right where we parked because the lighting was too good to pass up. 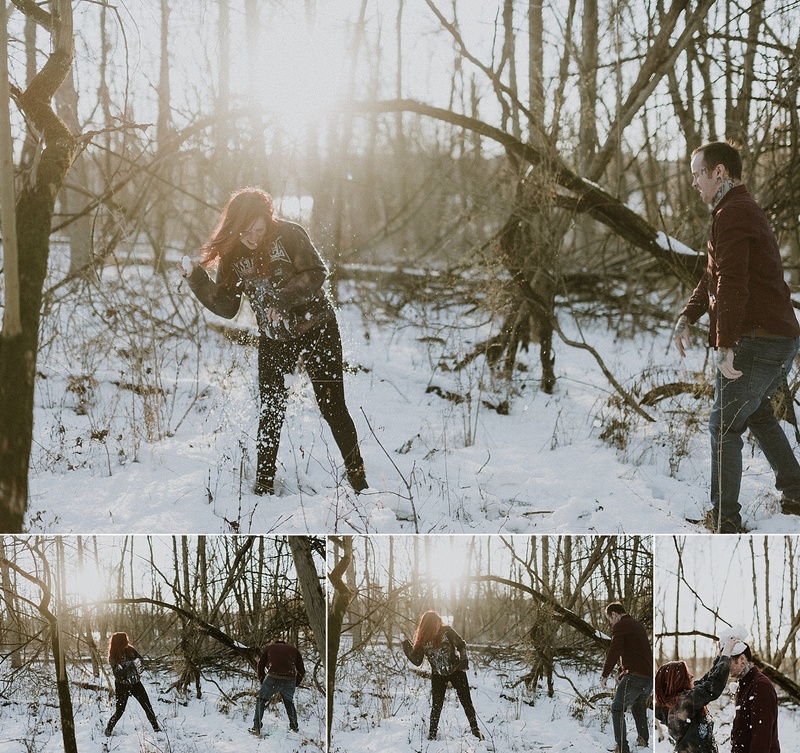 As soon as we got out into the snow, Lindley and Jacob couldn’t help but show their playful side with an epic snowball fight which turned out to be my favorite part of the whole session. 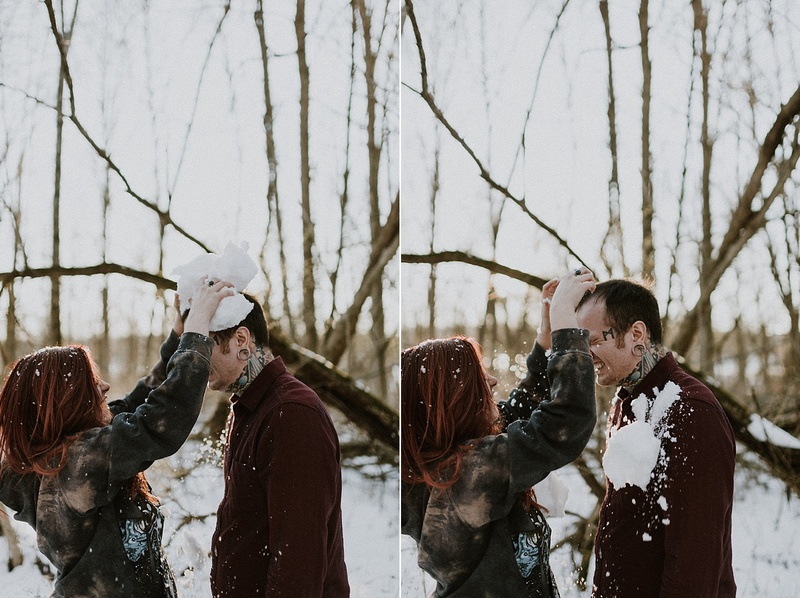 We tossed snow back and forth while laughing together for a good part of the shoot, and they both ended up covered head to toe in white powder. 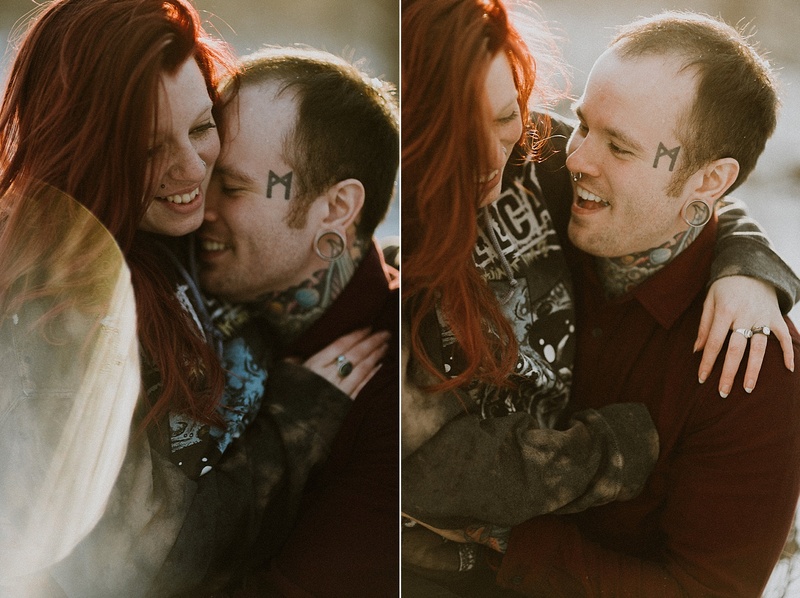 Talk about a good time, and even better photos. 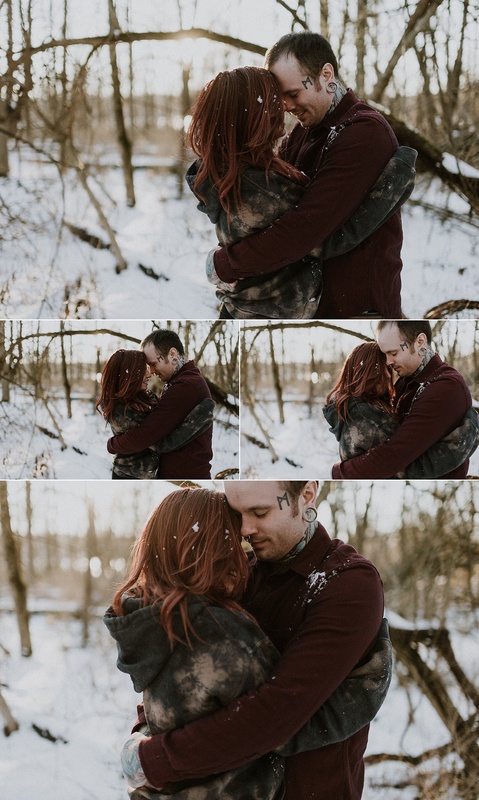 We circled the park grabbing intimate shots here, and solo shots there, taking full advantage of the gorgeous snowy weather that allowed for this impromptu session. 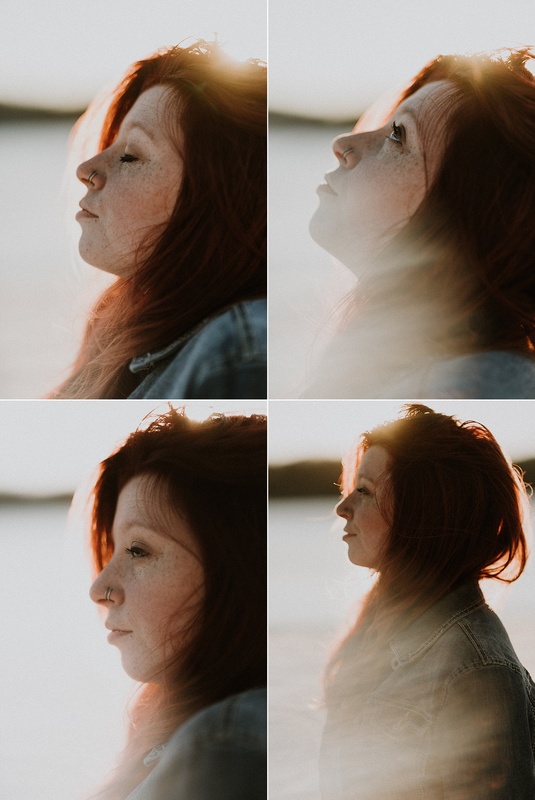 Did I mention the lighting was insanely beautiful? 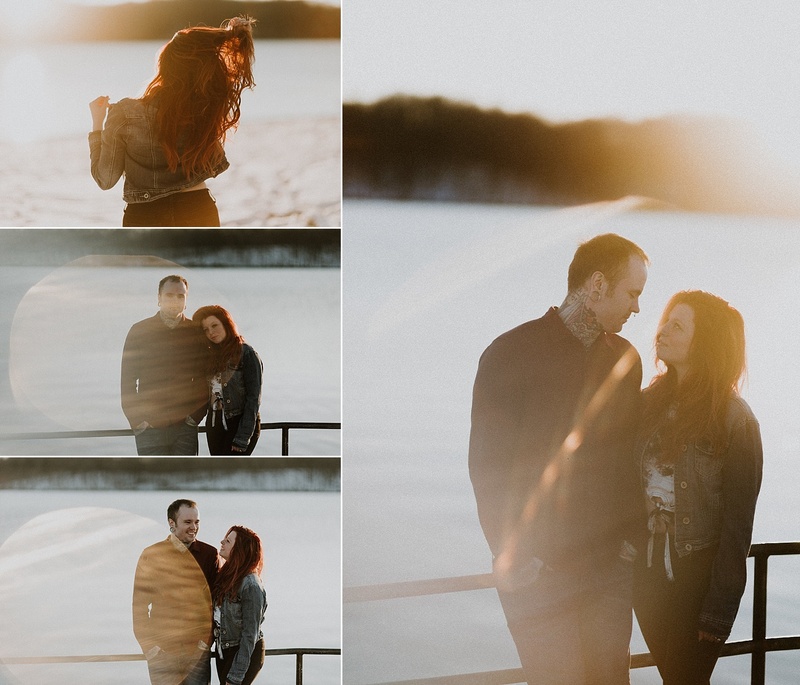 The suns rays came streaking through the trees and reflected off the snow in a way that enveloped the couple in a warm glow, intensifying the colors and shadows in every shot. 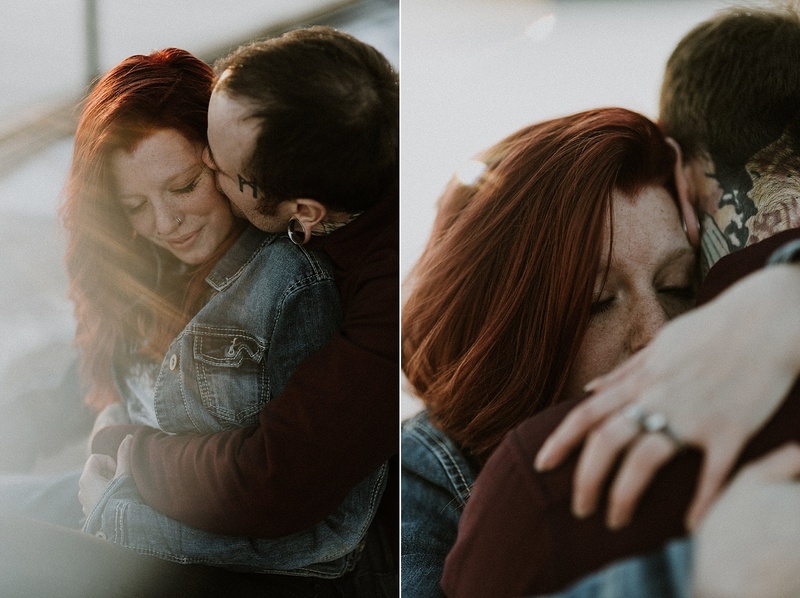 Lighting like that is a portrait photographers dream, and I was lucky to have an amazing couple to shoot with on this snowy day.